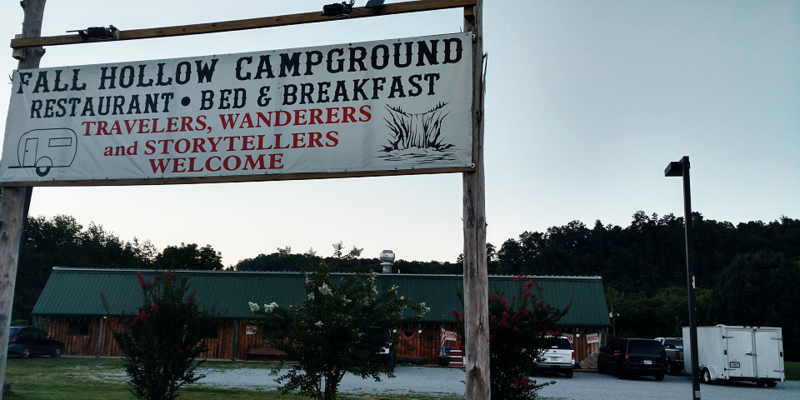 We stayed at Fall Hollow Campground while traveling the Natchez Trace parkway. They are easy access on/off adjacent to the parkway. The campsites are level and gravel. The owners and camp host are very accommodating. We requested a picnic table and fire ring and they delivered them just minutes later. It is very peaceful and quite here… the beautiful Creek is crystal clear and the walking trails are a nice walk with our dogs. We stayed 3 nights. The onsite restaurant is open Thursday-Saturday 4-9. The food is really good… we had the ribs and smoked meatloaf. We will come back and enjoy the hospitality and peacefulness of the campground.